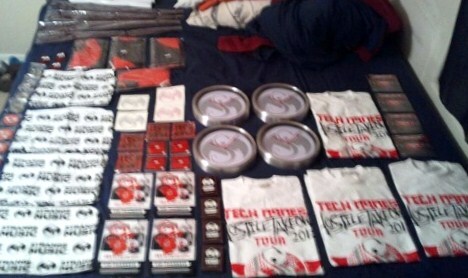 Tech N9ne’s “Hostile Takeover 2012” Tour is just over a month away and the buzz is beginning to hit an all time high. 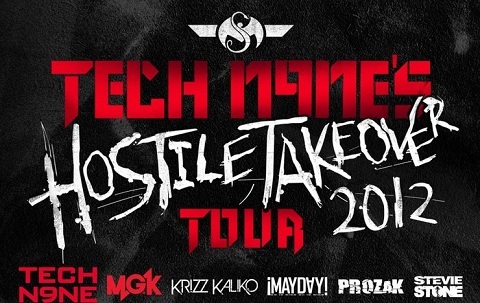 Joined by Machine Gun Kelly and Strange Music’s Krizz Kaliko, ,¡MAYDAY!, Prozak, and Stevie Stone, Tech N9ne is set to shatter records with the longest tour in rap history. The “Hostile Takeover 2012” Tour is shaping up to be the most exciting event this summer and fans all around the country are getting ready for the arrival of the king. When Tech N9ne and Machine Gun Kelly roll through your town, will you be a part of history? Click here to grab your “Hostile Takeover 2012” VIP Package! Are you getting a VIP package? Who are you most excited to see on the tour?